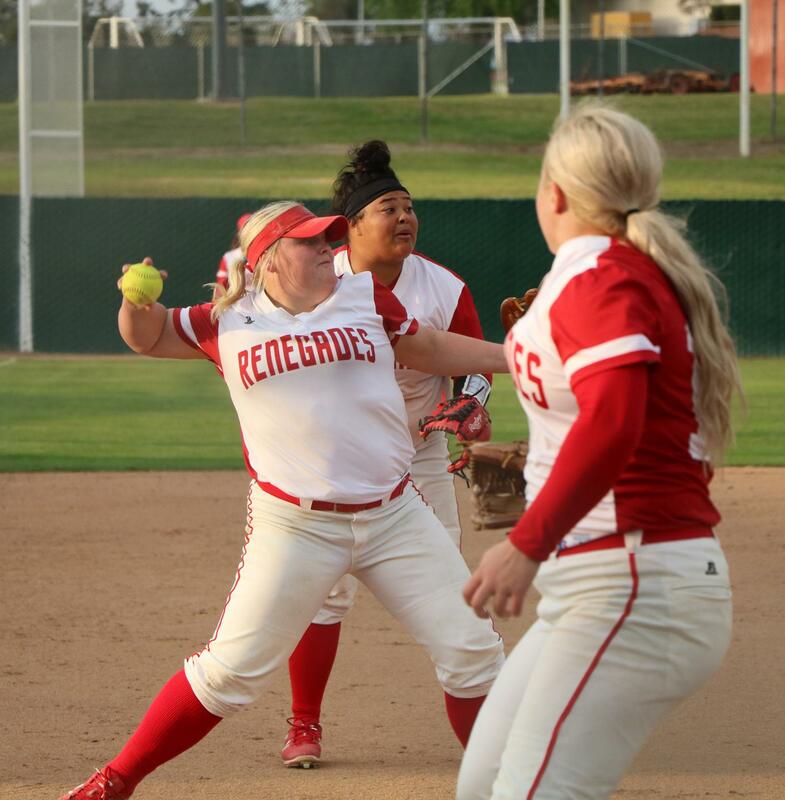 Alantis Rede (furthest back) and Natilee Parrish (close front) watching starter pitcher Kylee Fahy throwing out a bunt ball to first, on March 23. The BC Renegades Softball team hosted against Riverside City and came out with a loss of 11-9, on March 23. 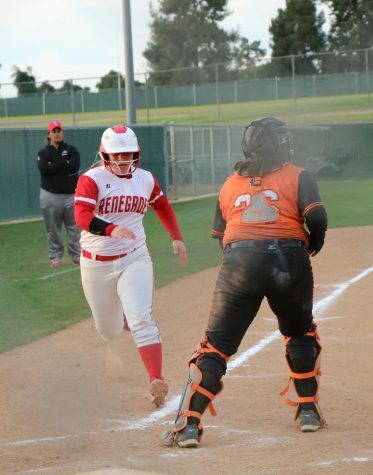 The Renegades started off scoring three runs in the bottom of the second and added two more in the bottom of the third from a solo home-run from Natilee Parrish and a sacrifice fly from Lysette Castro, 5-0. Riverside scored five runs and tied the game in the fourth before BC was able to get all three outs. 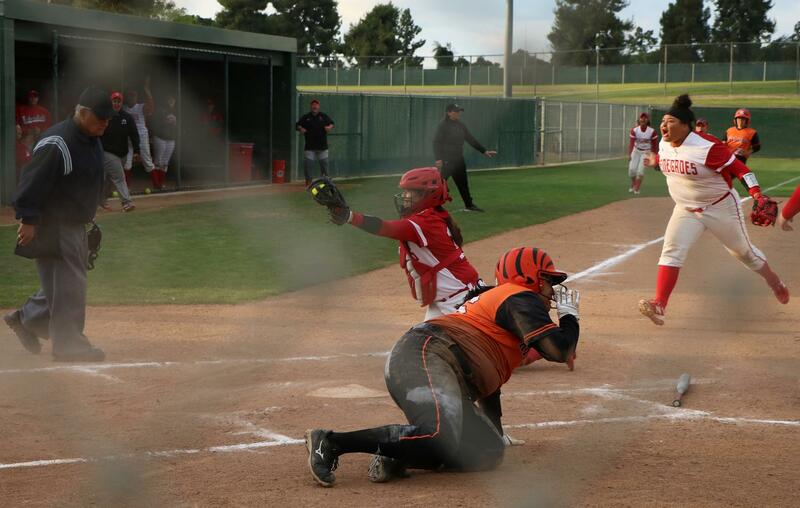 BC took back the lead in the bottom of the fourth when Alexis Venegas brings in two runs from an RBI double. 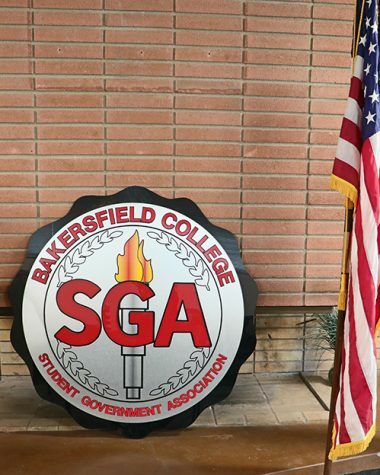 The lead extended to 9-5 when Sadiee Banuelos hits a two-run home run in the same inning. The Tigers added three runs in the fifth, tied the game in sixth and took the lead from the Renegades in the top of the seventh. BC was unable to take the victory in the bottom of the seventh. 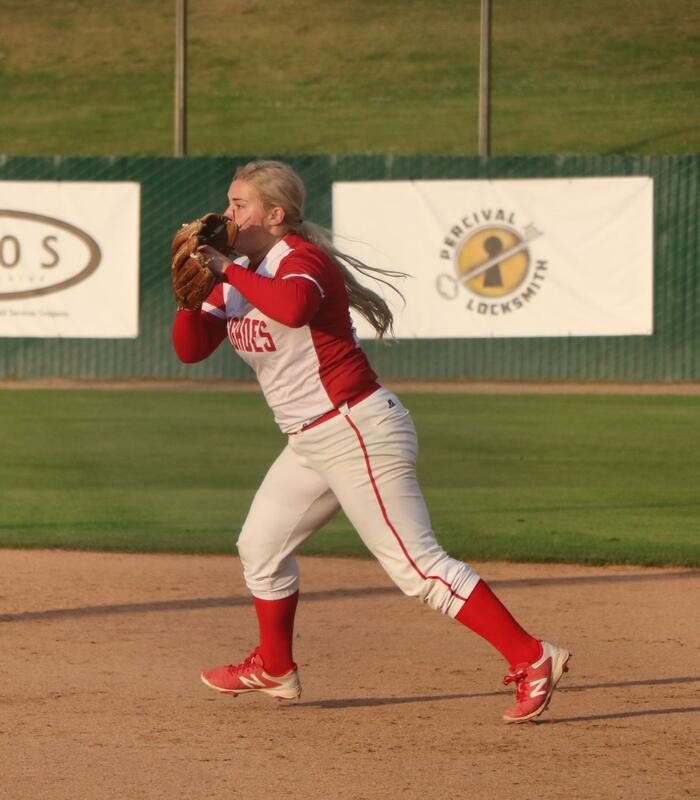 Pitcher Kylee Fahy started the game and went on for seven innings with seven strikeouts. After this loss, the Renegades overall drops to 13-13. Natilee Parrish running to home plate from a two- run RBI double from Alexis Venegas in the bottom of the second, on March 23. BC’s catcher Savannah Gonzalez and infielder Alantis Rede reaction after the umpire called the play safe when Gonzalez tried to tag the Tigers out on home plate in the top of the fourth, on March 23. 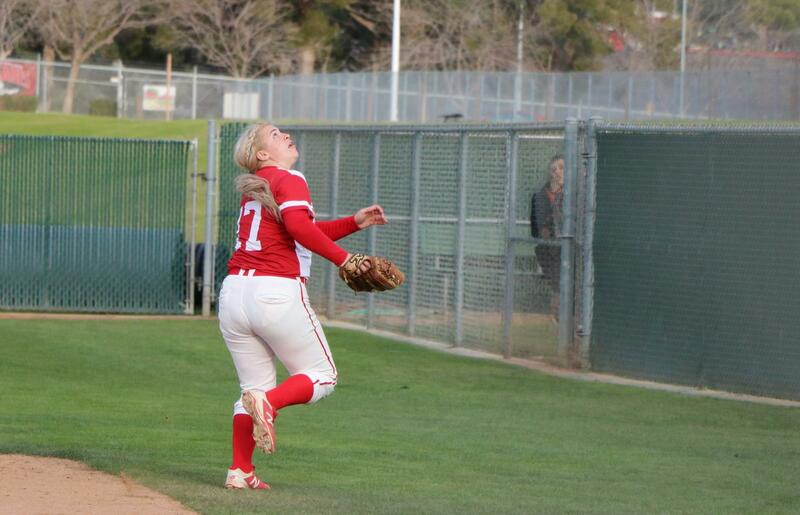 Natilee Parrish looking out to catch a pop-fly foul ball during in top of the fourth, on March 23. 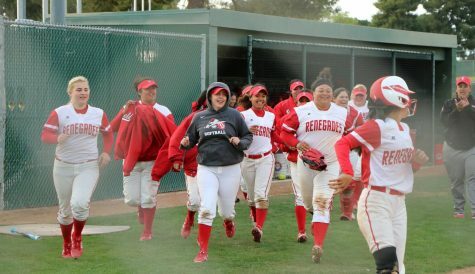 The Bakersfield College Renegades softball team running out of the dugout after Sadiee Banuelos hits a two-run home run to increase the lead to 9-5 against Riverside City in bottom of the fourth, on March 23. Natilee Parrish warming up between innings, after she’d hit a solo home run in the third.